Gun Mayhem 2 is back and play free game at templerun3.co! It is once again time to cause some mischief and chaos, with the firearm-toting arena game sequel the world has been waiting for. Gun Mayhem 2 with more chaos. 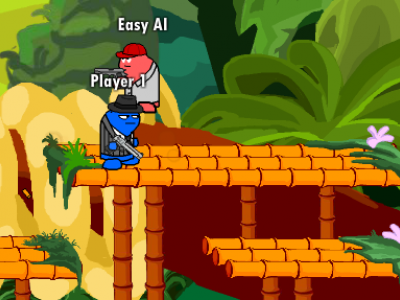 Defeat your powerful enemies by shooting them or blasting them off the platform with dynamite. Wish you have fun!